Someone just got his party pooped, while one-half of a promising tag team might be in descent. 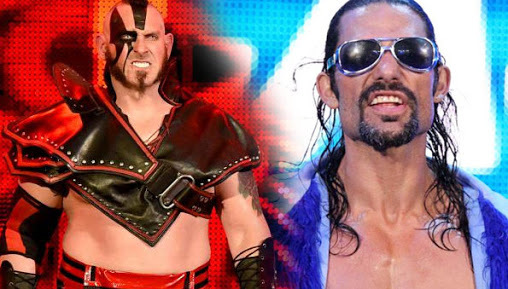 WWE broke the announcement late on Saturday night that effective immediately, both Adam Rose of the Social Outcasts and Konnor of the Ascension will each be serving 60-day suspensions for a second violation of its notorious wellness policy. In accordance with its Talent Wellness Program, WWE has suspended Raymond Leppan (Adam Rose) and Ryan Parmeter (Konnor) each for 60 days effective immediately for a second violation of the company’s policy. While the WWE does not traditionally reveal the substance for which a talent is suspended, speculation over Rose's first suspension in 2014 suggested marijuana use, while Konnor's was supposedly steroid-related. The complete list of banned substances is available here, but covers a comprehensive range of performance-enhancement drugs, stimulants, recreational drugs, sleeping pills, and diuretics that may mask the use of certain other drugs. What do you think of this new pair of suspensions, Henrinites? Do you think this will permanently derail the WWE careers of both men? Let us know your thoughts below.